Welcome to Jessamine Motor Company Ltd.
We are a family run, independent garage, established in the centre of Wheathampstead village since 1995.
exhausts, brakes, clutches, air conditioning, wheel alignment, second hand car sales and much more. Our mechanics have over 65 years combined experience enabling them to look after your car and keep you on the road! We pride ourselves on offering a friendly, honest and reliable service to all of our customers. Would totally recommend Jessamine Motor Company!!! They have been so helpful to me in the past. What I love as a young adult (with not a lot of knowledge in cars)is that it is run by younger adults - than most other garages - so if I don't understand something I'm not made to feel stupid, they will just re-explain something to me so so I know exactly what I'm paying for. Keep up the amazing work guys!!! Team went above and beyond to diagnose and fix our car, great communication and service through our - very impressed and would highly recommend. I would strongly recommend JessamineMC for service from front of house to support and advice and work carried out. All professionally done from start to finish with a smile and a friendly ambiance with how you are served. A courtesy car is also available too. All in all a great family run business, keep up the good work. 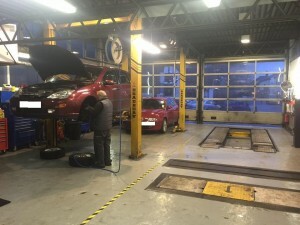 I have been using Jessamine for a number of years, I have just got my car back from a service and MOT and as always found the service and quality of the work very good and good vale for money. I would certainly recommend this garage to people. I had a high pressure fuel pump failure on my 5 series BMW. Jessamine fitted a new pump very quickly and efficiently at a very competitive price. Awesome service, can't recommend jessamine highly enough. Thanks. Yet again exceptional service provided by this friendly knowledgable team.I was booked in for a regular service but asked if my fan/heater could be looked at as it was not working ,not great in this cold weather when condensation is a problem. Later I was called with the diagnosis , the most reasonable cost Katie was able to obtain for the part , the total price for the job and better still the chance to have it done within a few hours. Job done efficiently and quickly. Thank you I really appreciate the honest reliable service you always give to us and have been giving for the last 10 years. Jessamine have looked after both my cars through accidents, MOTS and servicing. Always had fantastic service from this family run business and great value for money. Two services, 1 mot and a cambelt replacement. Fair prices. Good advice about what did and didn't need doing. No tendency to pad the bill with unnecessary work. High quality professional service, staff always very happy to help and advise - thank you! Thank you for an excellent job, returning my Honda FRV spotless inside and out, service and MOT done in a morning as requested. The pick up and drop off service really works for me, good experienced team of mechanics with friendly customer service. 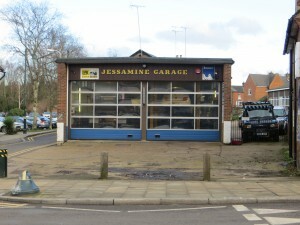 I have been bringing my car to Jessamine since I moved to Wheathampstead in 2014. I have always been extremely impressed by their courtesy, professionalism and attention to detail. Everyone is so polite, friendly and nothing seems to be too much trouble. Reasonably priced too. Highly recommended. Jessamine Motor Company Ltd | Powered by Mantra & WordPress.